Decked with holly and laced in red, this personalized Vintage Skates ornament adds a touch of merry nostalgia to your tree—personalized for a memorable Christmas. 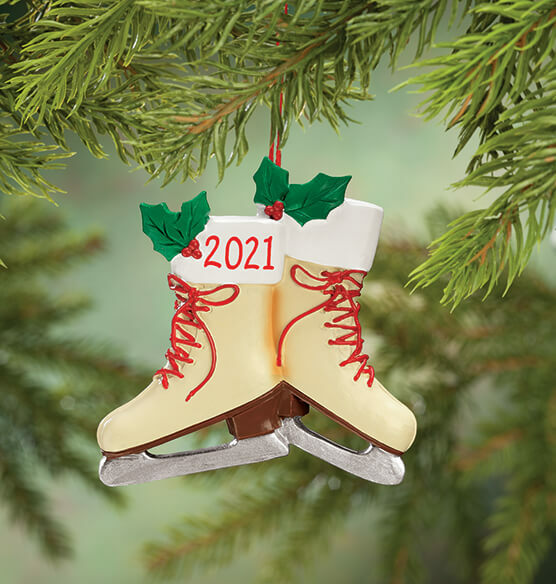 The perfect accompaniment to a pair of first skates, or a fun reminder of a favorite childhood sport, our exclusive 3D Christmas ornament boasts exceptional detail all around. We'll personalize with any year for a special touch. Specify year; limit 4 characters. Resin. Custom ornament measures 3" wide x 3" high.